The title says it all. 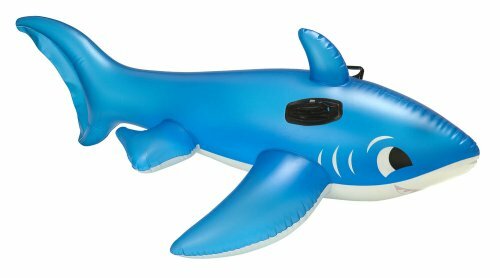 I want to buy/trade an older Bestway Whale or an older Intex Happy Shark. I won't go over $60 USD for one, I'll even trade 2 new unopened Bestway whales (the new ones are good, nice soft vinyl, large size, cute print). Some of those old school Bestway's Orca's are a lovely soft gloss vinyl if your lucky with your find. I think it's a generic design though- quite a few manufacturers make them which Bestway then buy up and repackage in their own packaging. I managed to buy four gloss one's whilst on a family holiday back in the mid 90's and ive still got one thsts still going strong for nearly 25 years old! I keep buying the odd one from Amazon every so often in the hope of being sent another older gloss model- but so far they've all been matte or that embossed matte material..... oh and quite a few of those new 2016 one's with the creepy emerald green eyes (not a fan of these). Last edited by craggy2012; 17-12-2017 at 11:00 AM.